episode was released to cinema. lesson in the importance of friendship. discovers the truth...he's in for a surprise! has vowed never to drive again. to retrieve some butter berries to cure Transylvia's pet gorantula. He finally returns, to find Hoppo now needs rescuing too. 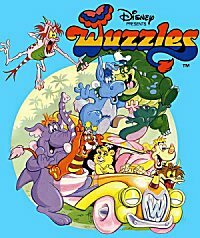 A tornado of humbugs force the Wuzzles out of their homes. some ghosts inform them that Croc is there digging for gold. It's then up to the Wuzzles to scare him off for good. and are now reeking havoc. that they may escape and get back home. evening. Butterbear certainly has her work cut out for her. have to get it back.